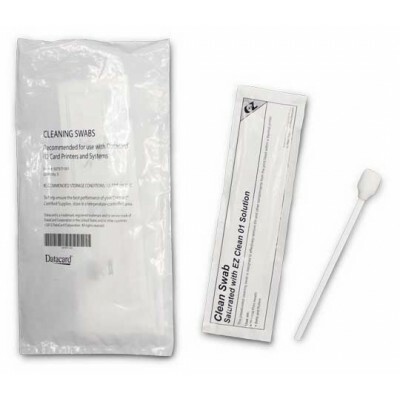 Cleaning Kits are designed to ensure your printer’s life span is as long as possible, and with a shelf life of up to one year, you have plenty of time to keep your printer happy and healthy. We offer a vast range from all the top card printer manufacturers such as Magicard, Evolis, Fargo, Datacard, CIM and Zebra. Please take a look at our selection of cleaning kits below. Don’t see the cleaning kit you require? Want to know more about the right cleaning kit for your printer? Contact us and one of the team will be happy to assist you.